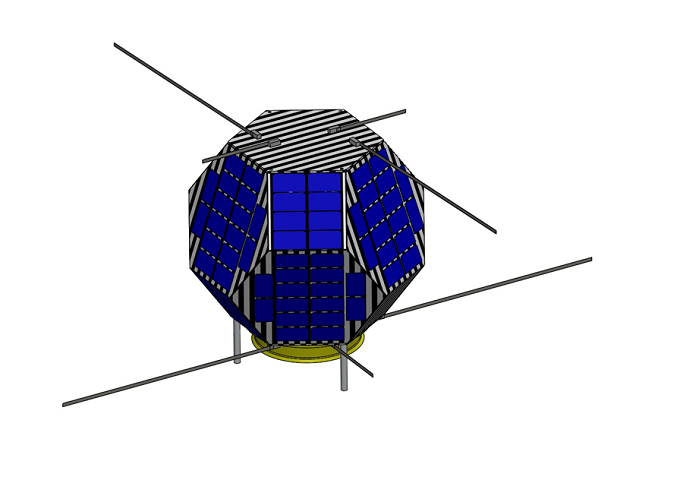 Shin-En2 is a 17 kg satellite measuring 490×490×475 mm built by students at Kagoshima University in Japan that will carry a 145 to 435 MHz linear transponder into a deep space orbit. The distance from the Sun will be between 0.7 and 1.3 AU, where AU (Astronomical Unit) is approximately 1.5 x 108 km. Shin-En2 is expected to launch in the 4th quarter of 2014 with another amateur radio satellite ARTSAT2:DESPATCH on a H-IIA rocket with the asteroid explorer Hayabusa 2 as the main payload.